Nancy Bilyeau has once again returned with another exciting installement of adventures from our favourite ex-Dominican novice, Joanna Stafford. In The Chalice, Joanna recalls a sinister trip in her youth made to Canterbury cathedral with her mother to visit a seer, Elizabeth Barton, who was later tried and executed as a heretic for her visions. Joanna seeks to put the eerie prophesies behind her but as fortune would have it, they come back to haunt her while she’s trying to enjoy a quiet and simple post-Dissolution life in Dartford. Joanna is still caring for her cousin Arthur, Margaret Bulmer’s five year old son, when she is once again embroiled in court intrigues and the the turmoil of Henry VIII’s reign during The Reformation. Joanna is visited by her cousin Henry de Courtenay and his wife Gertrude. Against the warnings of Geoffrey Scoville she agrees to accompany the Courteneys to their home at the Red Rose for a month to help further Arthur’ s education. Things appear to be going well until Gertrude reveals the real reason behind her visit: she needs Joanna’s help in overthrowing Henry VIII and restoring the Catholic faith. A bit much to ask, but not for Joanna. After finding the Aethelstan Crown, this should be a cake walk for our intrepid Dominican detective, right?! Gertrude is aided by seers who foretell more mysterious prophecies and Joanna wants nothing to do with them given her unsettling meeting with Elizabeth Barton. Unfortunately, Joanna is hurtled once again into the clutches of Bishop Gardiner, who promised that her earlier refusal to assist him would be her undoing. Fortunately, her close connection to Lady Mary Tudor, Henry VII’s daughter and Catholic sympathiser, secures her freedom. Joanna is thrust once again into the spotlight in an attempt to save her friends and her faith. Much like its predecessor, The Crown, The Chalice is a fast paced late medieval/early modern mystery thriller centred around a strong female protagonist – the pious Joanna Stafford. I enjoyed Bilyeau’s second book, the plot is full of twists and turns, never boring. The supporting characters, Gardiner, Edmund Sommerville, Geoffrey Scoville, Gertrude and Jacquard are colourful and fully developed. Lastly, Joanna makes an unlikely, but interesting heroine; an ex-Dominican novice who constantly struggles with her new situation in life and her faith. I have to admit, I found this struggle and Joanna intensely unlikeable at various points of the story. While I didn’t mind Joanna’s personality in the first book, I found her exasperating and extremely difficult to like in this second novel. She can be insufferable and I had to wholeheartedly agree with one of my favourite characters, Jacquard, that she is a very trying woman. Did this ruin the book for me? No. I don’t think you’re supposed to love every character and cheer for every protagonist. I think it’s a testament to good writing when an author can make a difficult and unlikeable character interesting enough for your audience to want to follow. If you’re not reacting, put the book down and move on because you’re not reading great material. While Joanna can be irritating and frustrating, these traits stay true to her internal struggle to reconcile herself with her new life and the limbo she and other former nuns and monks find themselves in during this tumultuous time. While some of the former nuns and monks embraced lay life, there were those like Joanna who wanted to return to holy life but couldn’t. They weren’t exactly eager to embrace marriage and couldn’t contemplate an existence outside of the Church. These former sisters and brothers were reviled by their new Protestant neighbours. Bilyeau demonstrates this turmoil well in Joanna’s character even if she does make her exasperating. This tale is full of seers, cryptic prophesies, brutal violence, and religious conflict. There is rarely ever a lull in the story. 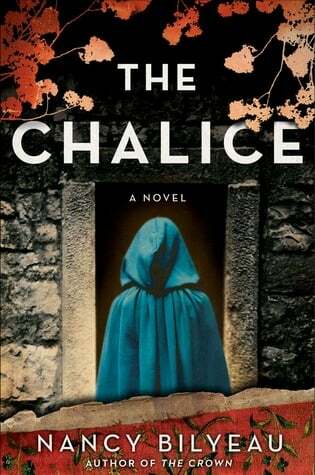 Bilyeau has set the stage for another page turning Tudor thriller. She marries fact and fiction well and has done a fair amount of research into the period and the region. The book is an easy read, good fun and intriguing. If you enjoy medieval or early modern historical fiction and you’re a mystery fan this is a good book to add to your reading list.